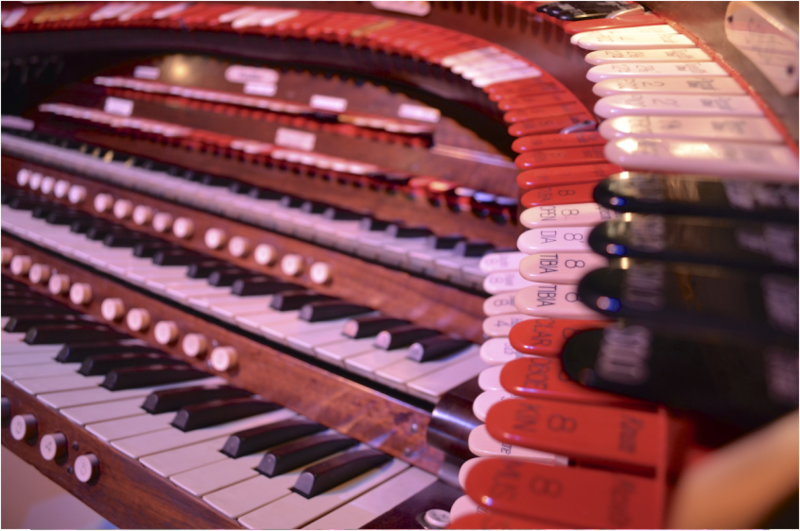 The idea of the theatre pipe organ began in the early 1900’s with an English telephone engineer named Robert Hope-Jones. Mr. Hope-Jones was one of the first to successfully electrify the action of a pipe organ, before his advances there were mechanical linkages between the keys and the pipes. Hope-Jones also had many radical tonal ideas for the pipe organ, attempting to create an instrument which could replicate the sound of a symphony orchestra, in essence the first synthesizer! After immigrating to the United States, Hope-Jones sold his pipe organ business and his patents to the Wurlitzer Company of North Tonawanda, New York. It was the Wurlitzer company which began to market these “Orchestral Organs” or “Unit Orchestras” to movie theaters as a replacement for the expensive orchestras which had accompanied the silent films up to that point. Wurlitzer, and several other companies installed thousands of instruments in theaters large and small throughout the country. After the advent of sound films in 1927, theaters ceased using their pipe organs, many were thrown away, others were sold and removed by organ technicians. Our instrument was assembled from parts saved from such theaters. The basic mechanical components (the console, windchests, regulators, and tremulants) were built by Wurlitzer. The pipework represents that of several builders. 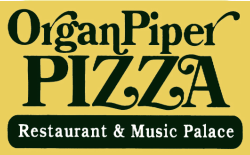 ​ The Organ Piper organ has 30 “ranks” or sets of pipes. The “theatre organ sound” is mainly produced by pipework from the Wurlitzer factory. Much of the other pipework was built by the W.W. Kimball Company of Chicago. Kimball was known for their excellent classical organs, when our organists perform classical literature, much of the Kimball pipework can be heard.